Get Fluent in Maths in Connemara this Summer! 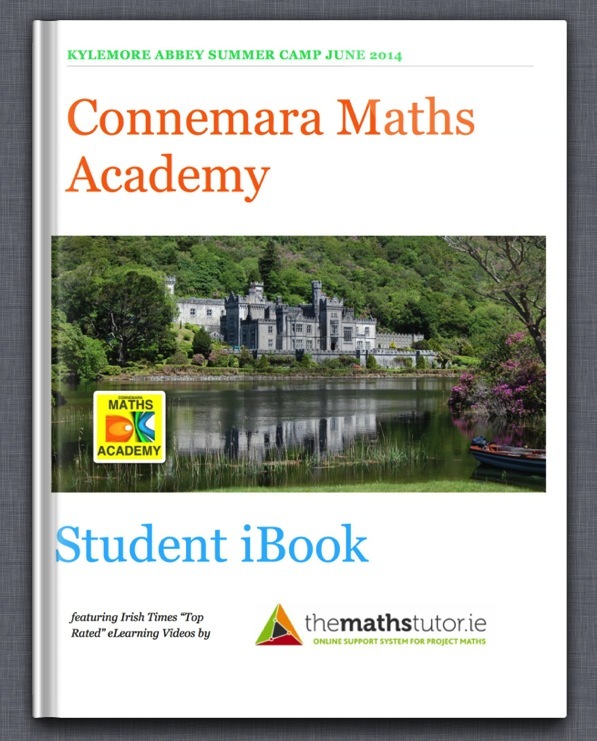 Home / Blended Learning / Get Fluent in Maths in Connemara this Summer! Connemara Maths Academy are running a very exciting course this summer – it’s a bit like going to the Gaeltacht, but instead of improving your Irish, you get yourself fluent in Maths! So how does this work? Do you go sit on a rock in Clifden and do lots of hard sums? Not quite! Aengus O’Connor and his team have created a unique and innovative approach to understanding and enjoying maths. Students will participate in a combination of adventure sports, technology, music and multimedia, which is not only fun, but also helps students to understand the mathematics involved in these real-world phenomena. This will provide students with a sound foundation in mathematical concepts and applications. We’re always interested in new approaches to maths education, and we are delighted to play a part in this innovation! Students on the course will have access to video lessons from themathstutor.ie, so that they can brush up on any maths concepts that they encounter as they explore the real-world maths of music, sports and technology. It’s a very exciting concept, and a fun and productive way to spend a week this summer. Click here now to find out more about the course.